This visual reflects a simple exercise: the combinatorial innovation that emerges as aspects of a larger system come together to completely change current paradigms. This view of the future of mobility can be applied to any future scenario. If we can’t envision the building blocks combining, we can’t prepare ourselves, our companies, our governments, or society for the future that emerges. One of the most important leadership traits going forward are systems thinking, systemic leadership, and systems innovation. Can we see beyond our short term focus? Time will tell. 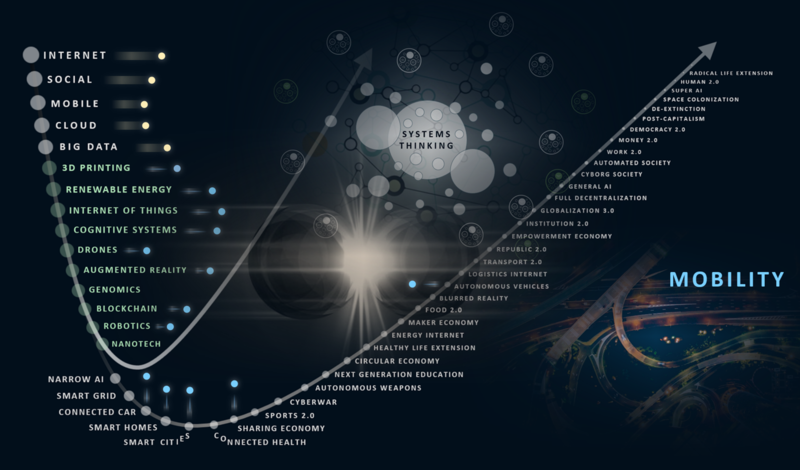 This older post on Intersections dives a little deeper into the dynamic that is likely to occur as convergence across the science and technology foundation both creates future scenarios, and intersects with them.